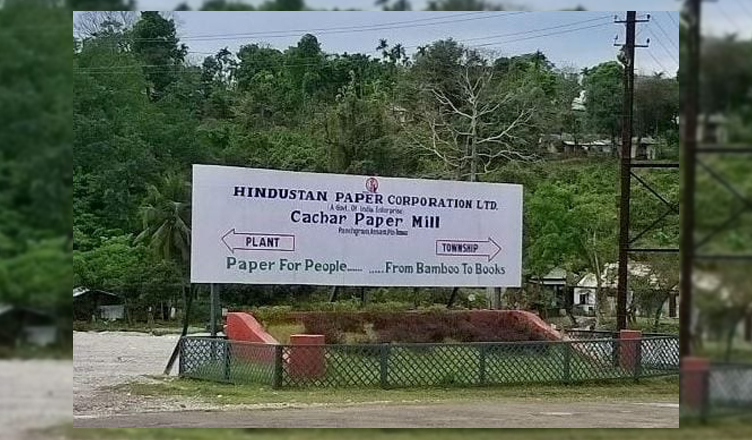 Following no response from the Prime Minister Narendra Modi-led NDA government, employees of the Nagaon and Cachar paper mills (both situated in Assam) of the Hindustan Paper Corporation (HPC) approached the National Human Rights Commission (NHRC) on February 6 and requested it to take actions against the Central government. The employees have alleged that the government has not deposited their Provident Fund, Life Insurance Corporation (LIC) policy amount, salaries and other statutory dues. A delegation comprising of chief convener of HPC Paper Mills Revival Action Committee Manobendra Chakraborty, convener Azizur Rahman Mazumder and Kagaj Nigam Karmi Union General Secretary Anand Bordoloi met officials of the NHRC in New Delhi to bring the issue to their notice. Following the meeting, the Commission asked the Chief Labour Commissioner to send a written reply by February 12. If he fails to submit a satisfactory reply, he will have to before the NHRC on February 26, as reported by News Central 24×7. “The Government of Indian (GoI) has committed a criminal offence by deducting our PF, LIC and other dues. Our PF was deducted and not deposited with effect from February 2015 and LIC policies was also deducted from August 2016. These are our hard earned money,” News Central 24×7 quoted Chakraborty as saying. Chakraborty also informed that their salaries have not been released for the past 25 months (23 months in the case of Nagaon Paper Mill). “We didn’t reach out to the UN yet because it will hamper India’s image. But if it is not resolved, we won’t be left with any other option,” Chakraborty said while intimating that if their issue is not resolved, they will approach the United Nations Human Rights Commission (UNHRC). The paper mills were shut down as both were incurring losses, added to it was an acute shortage of raw materials. While the paper mill at Panchgram was shut down on October 20, 2015, the Nagaon Paper Mill was closed on March 13, 2017.